Xiaomi Mi Max 3 will be available on the global market soon. This will happen in the coming days. Information about this was given on Monday through Xiaomi's Global Twitter handle. There is no confirmation, but Xiaomi Mi Max 3 is expected to be launched in India too soon. Because Xiaomi Mi Max and Xiaomi Mi Max 2 have been extremely popular in this market. In such a situation, Xiaomi large display would not want to keep this phone far from the market. 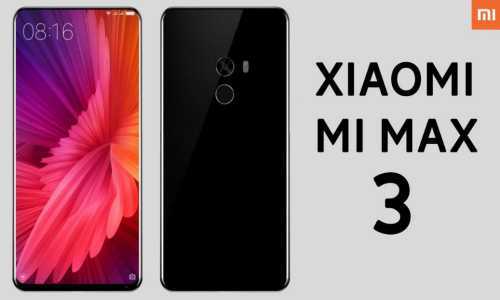 Remember that in July this year Xiaomi Mi Max 3 was introduced in the Chinese market. Two variants of Xiaomi Me Max 3 have been made available. The phone has 4 GB of RAM and 64 GB storage variants of 1,699 Chinese yuan (around Rs 17,300). Its 6 GB RAM and 128 GB storage variant will be priced at 1,999 Chinese yuan (about 20,400 rupees). Dual-SIM Xiaomi Mi Max 3 runs on the MUI based on Android It has a 6.9-inch full-HD + (1080x2160 pixels) display. The smartphone uses 1.8 GHz octa-core Qualcomm Snapdragon 636 processor. RAM has two Xiaomi Mi Max 3 options - 4 GB or 6 GB. Adreno 509 GPU for graphics is integrated. Talking about camera specification, Xiaomi Mi Max 3 3 has vertical dual rear camera setup. The primary camera is of this mobile 12- megapixels and the secondary camera is 5 megapixels. Both sensors are F / 1.9 aperture. These AI come with portrait mode and dual LED flash. The front panel of this mobile has an 8-megapixel camera with F / 2.0 aperture. It is equipped with face recognition and soft selfie light. There are also two storage options - 64 GB and 128 GB. In Xiaomi Mi Max 3 both variants support MicroSD card up to 256 GB.